We are a group of biology students and graduates from the University of Bielefeld, northwestern Germany, but also keepers, architects and multimedia specialists. We meet twice a month to discuss new developments in the zoo world, to give talks about recently visited zoos from all over the world and about conferences, to listen to guest talks and to work on our various projects. As most of our visitors are from the German area, our site is in German. But you might try this auto-translated version of our Homepage. we provide information about practica, summer schools etc. 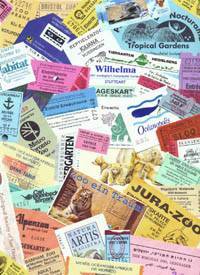 providing information about all German zoos at our database Zoo-Infos.de - in English, too! listing all German zoos (complete list of some 900 zoos, wildlife parks and other public collections in Germany); closed collections, zoos that are planned or being built. To browse our German site, just click on the links to the left (if you did not get the main frame, please load the navigation bar here). The homepage shows news from the Zoo-AG and proposed activities. 'Wir' (we) will introduce you to more members of the Zoo-AG, and the 'Archiv(e)' provides our reports, zoo lists and links. Just stroll around our German pages and don't hesitate to ask everything you want to know: e-mail us.We are always looking for new contacts, ideas, comments! please respect our copyright of these pages and pics!